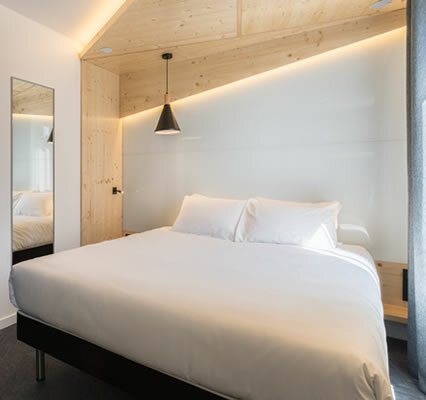 Urban Bivouac Paris is a design hotel entirely renovated in 2018, ideally located in the 13th arrondissement of Paris. More than a hotel, an experience! Your new parisian base ! 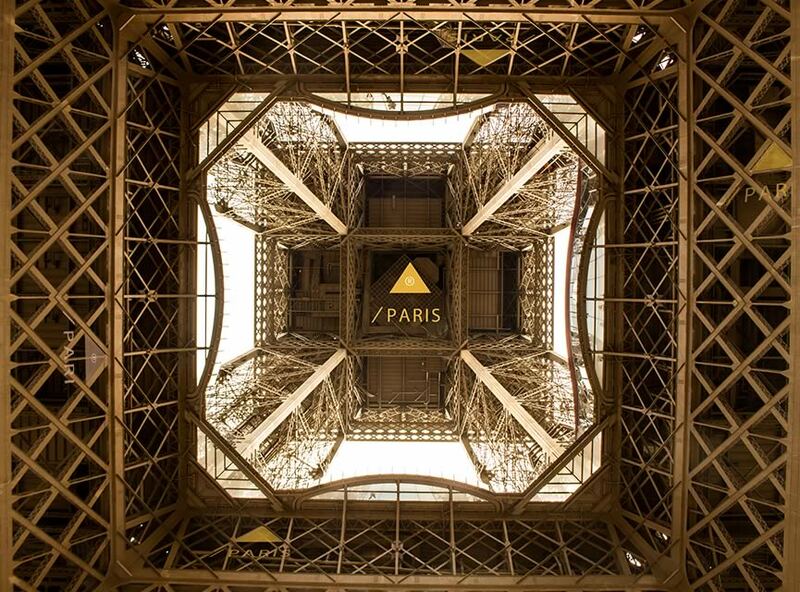 The hotel*** in Paris 100% accessible.Our promise: to be too! ▴ UB Paris is a design hotel entirely renovated in 2018, ideally located in the 13th district of Paris, at the foot of line 14 and close to metro line 7. 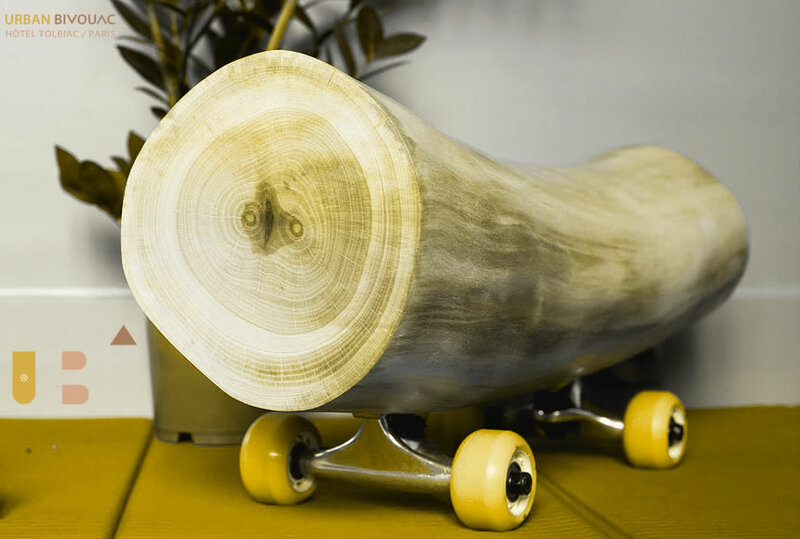 ▴ As soon as you enter the lobby, a UBoard, rough log of wood designed by a street artist with skateboard wheels sets the pace! 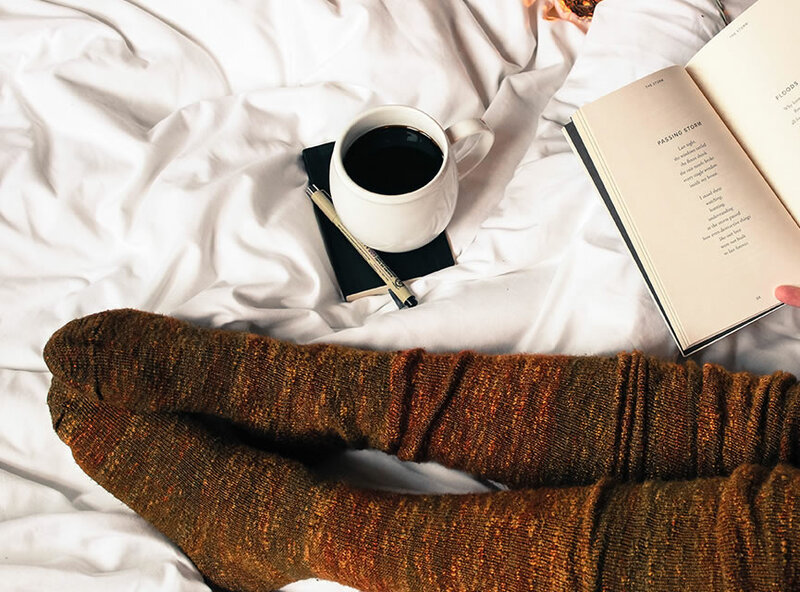 ▴ 32 rooms… 3 UB, with tailor-made services, welcome you in a comfortable, zen and connected atmosphere, with an eco-responsible approach. ▲ 1, 2, 3 BreakFast ! ▴ The Buffet Breakfast is served in the restaurant between 6.30 and 10.00 during the week, and 7.00 to 11.00 on week ends. ▴ The Breakfast can be served in your room as continental breakfast !